After a couple of hours of tossing and turning, I decided to give up on the idea of sleeping and let my mind wander. I started thinking of things that made me happy as a teenager and my first thought was Prince (or The Artist Formerly Known as Prince as they called him back then). I loved Prince, from his high falsetto to his rich deep base, his music moved me. Most 70’s, 80’s and even early 90’s babies can belt out at least one Prince song. Either you loved his music, wanted his body or wanted to raid his closet for those tailored suits and heels (that only Prince could carry off, I must admit he knew how to color block). We were mesmerized and fascinated by this sexual, strange yet weird character who marched to the beat of his own drum (or 27 other instruments that he can play). Prince was the only man that declared that he wanted to be my lover. He lamented and recounted the things that he would do if he was my girlfriend. He was passionate enough to declare “I would die for you” and was the only guy that wanted to see me in laughing in the “Purple Rain” (still don’t know what Purple Rain is, but damn, I didn’t care). 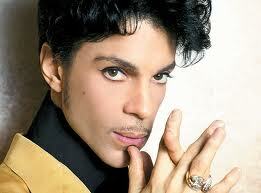 Prince promised me “Diamonds and Pearls” and even declared that he would give me the world if he could! Ooh, this brother was not only bad but he was smooth! His explicit lyrics and the way he moved and gyrated on the stage made mothers scared for their daughters, literally (Parents Music Resource Center, an organization that advocates mandatory warning labels for explicit lyrical content was formed by Tipper Gore and a group of concerned parents after Mrs. Gore and her young daughter listened to one of Prince’s songs). 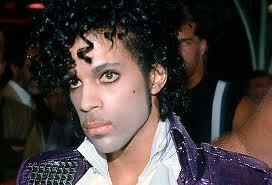 Apart from giving Mrs. Gore a heart attack, Prince was making women’s heart race all across America and Europe. Prince is the only artist that I have known who changed his name to a symbol (with no pronunciation) and the world accepted it as a normal occurrence! It was sometimes comical to hear news reports refer to him as The Artist Formerly Known as Prince, The Artist or my favorite the Symbol of Love. I think everyone understood his fight, his struggle and his protest enough to accept the name change. 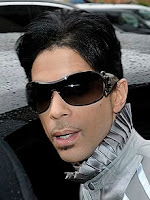 Many of his fans (myself included) expelled a sigh of relief when he finally changed his name back to Prince. All these thoughts raced through my mind as I replayed the songs belted out by the petite, strange, complex, introverted off stage and extroverted on stage individual who invaded my bedroom through my radio as a teenager every weekend as I laid in my bed and stared at the ceiling. As in the old days, I slowly closed my eyes and drifted off to sleep. I claim Prince as one of my favorite artists back in the day, who was your favorite artist? Feel free to share. 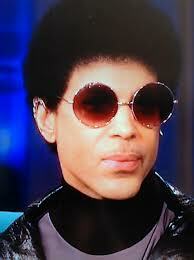 I remember liking Prince in the 90's but not specific songs other than purple rain. Thanks for stopping by my blog. Sorry, it took me a while to get back. ELF is keeping me busy these days.